Insomnia Research Papers look at the symptoms of this sleeping disorder. 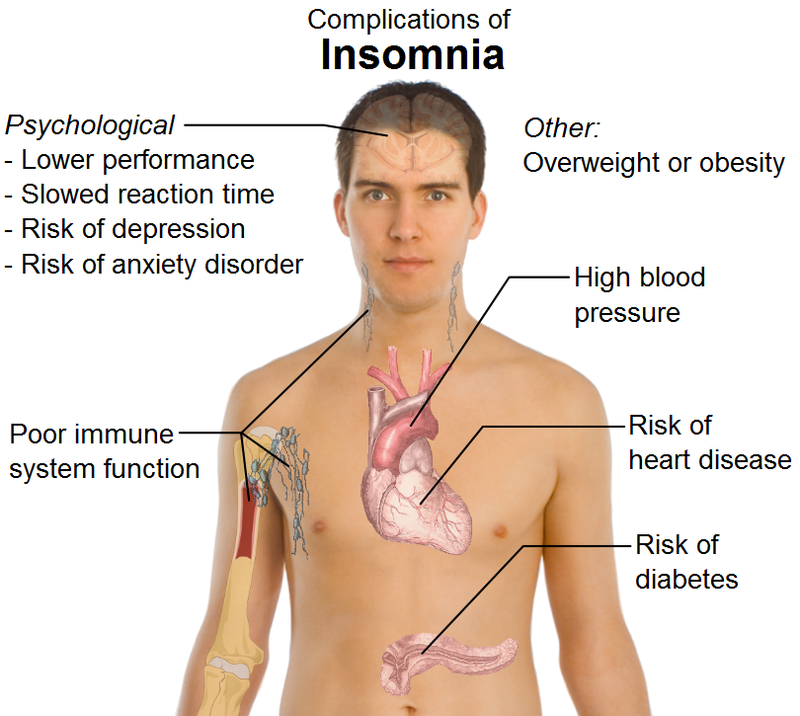 Research papers on insomnia examine the disorder or any part of the inability to sleep that you need explained. Custom writing makes certain that you get exactly what you need. One of the most common and complicated rhythms of the human being is that of sleep. Individuals spend a large portion of their life in a sleeping state. There are many reasons why people sleep. Sleep is necessary in order for the body to “restore depleted reserves of energy, eliminate waste products from muscles, repair cells, strengthen the immune system, or recover physical abilities lost during the day”. With continuous and prolonged failure to sleep, the human body begins a downward spiral that may lead to illness or death in more severe cases. Thus, sleep is vital for adequate levels of functioning. However, many people suffer various types of sleep disturbance in which the ability to have restful sleep is disrupted. One such disturbance is called insomnia. The purpose of this paper is to discuss how insomnia is diagnosed and the types of treatment that are currently available. Insomnia is a type of dyssomnia which refers to difficulties in sleeping an appropriate amount or in when the individual falls asleep. There are three major symptoms of insomnia. Any symptom alone can result in the inability to sleep. The first symptom involves the individual having difficulty going to sleep. In other words, he or she goes to bed but does not fall asleep. Another symptom of insomnia is not being able to stay asleep throughout the night. Here, the person is able to go to sleep, but he or she cannot stay asleep for the time necessary for the body to go through its many restorative processes. The last or third symptom is not achieving adequate sleep with regard to quality. Thus, the individual is able to sleep, but it is not restful. An individual can have any of the symptoms mentioned above and be diagnosed with insomnia, if it is determined that the sleep difficulties are of a chronic nature or pattern. In other words, if an individual only has a few days of not being able to sleep properly and then the pattern returns to normal, he or she may not necessarily have insomnia. Desynchronized Sleep - Order a research paper on insomnia from Paper Masters. Sleeping Disorders research papers on the disorders that cause any disruption of a person’s sleep patterns. Working Two Jobs - Working Two Jobs Research Papers go into the physical and mental strains that it may cause, and what this stress could lead to. Mental Illness and the Brain - It can result in depression, insomnia, anxiety, and obsessive-compulsive behaviors. In A Dark Time - In A Dark Time Research Papers discuss a poem by Theodore Roethke about a man that veers on the edge of sanity through an outdoor experience. Symptoms of Post Traumatic Stress Disorder - Symptoms of Post Traumatic Stress Disorder research papers outline the diagnostic information and symptoms of PTSD. Major Depressive Disorder - Major Depressive Disorder Research Papers discuss the diagnosis for this disorder. Chronic Alcoholism - Chronic Alcoholism Research Papers examine this medical condition and it's effects on the body. Physiological Changes During Menopause - Physiological Changes During Menopause Research Papers delve into the health, social and emotional effects. Memoirs of My Nervous Illness - Originally confined in an institution for treatment of insomnia and hypochondriasis, Schreber experienced dramatic delusions and frightening hallucinations. Chronic Depression - Chronic Depression research papers on the clinical term for the mood disorder dysthymia. Paranoid Personality Disorder - Paranoid Personality Disorder research papers examine the mental condition that is characterized by a person's overall paranoid feeling toward others. Depression - Depression research papers discuss the state of low mood that can affect a person’s thoughts and behaviors. Hypochondriasis - Hypochondriasis Research Papers explore the mental illness and describes it as both a disorder and symptom. Sleep Apnea - Sleep Apnea Research Papers look at the signs and symptoms of condition. Post Traumatic Stress Syndrome - Post Traumatic Stress Syndrome research papers examine the stress disorder that consists of a host of negative symptoms experienced by an individual after exposure to a particularly stressful situation. Paper Masters writes custom research papers on Insomnia and look at the symptoms of this sleeping disorder.